Nov. 7, 2018, 11:28 a.m. So many changes in one release! We launched RiftAnalyst a little over a year ago, and it was born as a video analysis tool, but soon enough it evolved into something bigger and more powerful than just THAT specific feature. …so, the word ‘Analyst’ started to sound a bit off for our product’s name. That’s why we decided to transform it into RiftGG. You can watch this rad video to be as hyped as we are! Now… what have we changed within the software? The first thing you’ll notice is what we call the TBR: The Big Redesign. RiftGG is now cleaner and simpler. The navigation bar on the left allows you to shift between tabs easily. 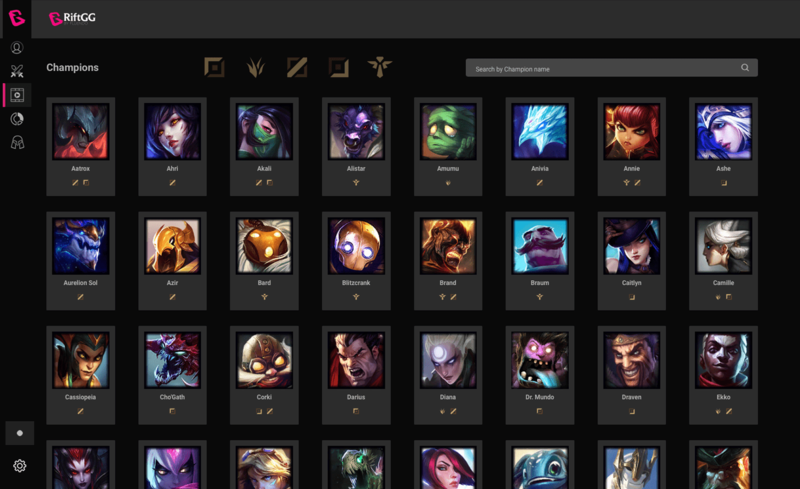 From here, you can access ‘My Summoner Profile’, ‘My Matches’ ‘My Video Library’, ‘Stats’ and ‘Champions Vault’. Our timeline is looking lit with a cleaner design and several new functionalities that let you filter and visualize the events you want. 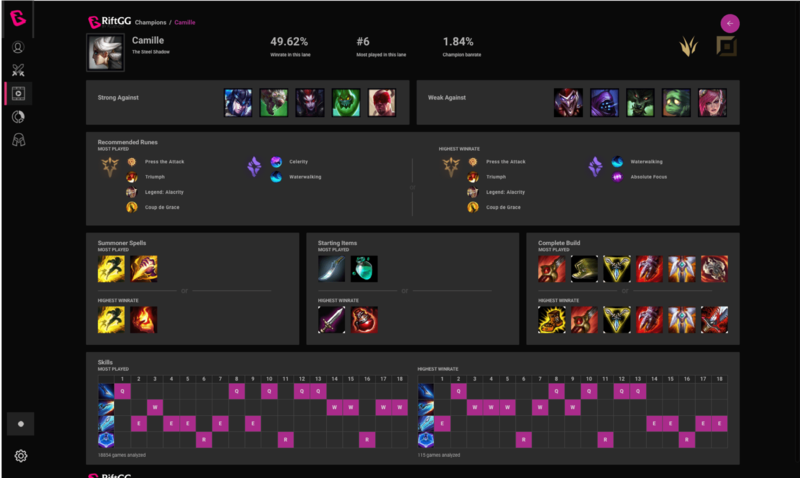 We now offer stats, runes, spells, masteries and a lot more info for every LoL champion. Access it by clicking on the new ‘Champion Vault’ tab. View and manage your matches from the ‘Video Library’ tab. 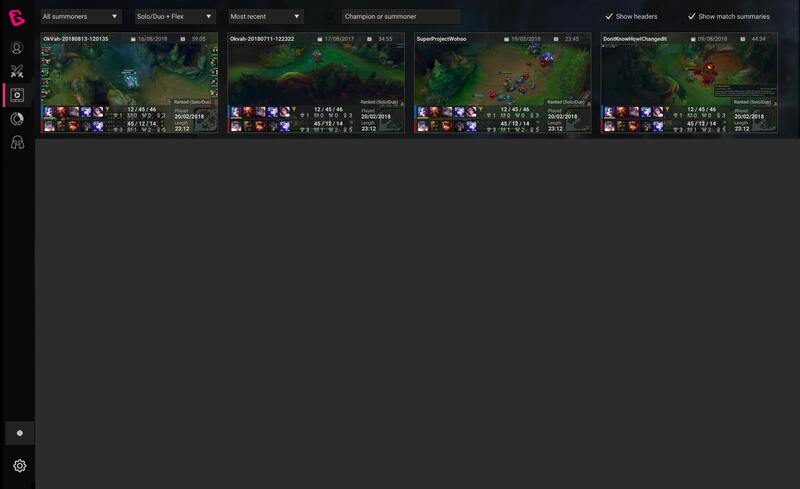 Every match will be automatically recorded with RiftGG and saved to this library. 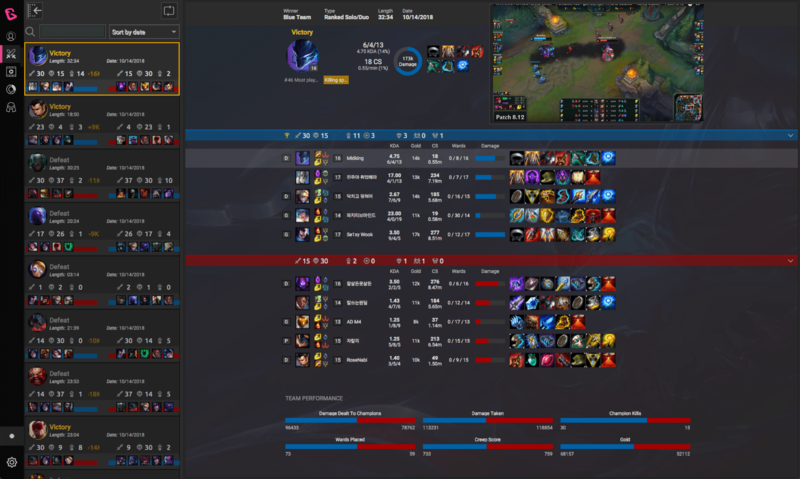 From the ‘My Matches’ tab you’ll be able to view all of your matches as well as useful statistics such as kills, deaths, gold difference, wards, and more. 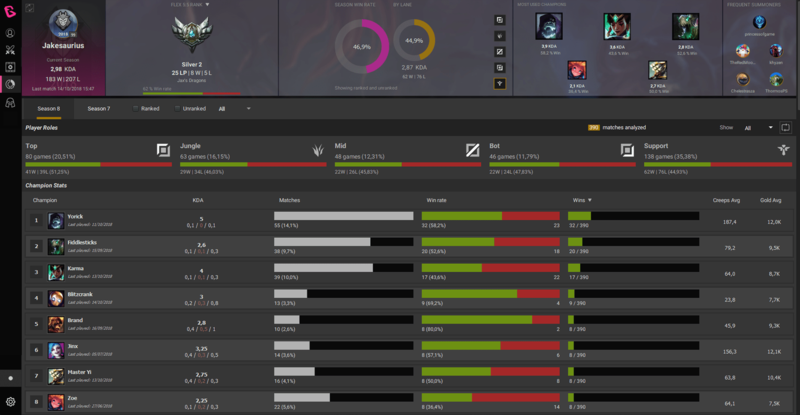 The Stats tab also got a revamp; it looks sleeker and provides more information on any summoner you want. 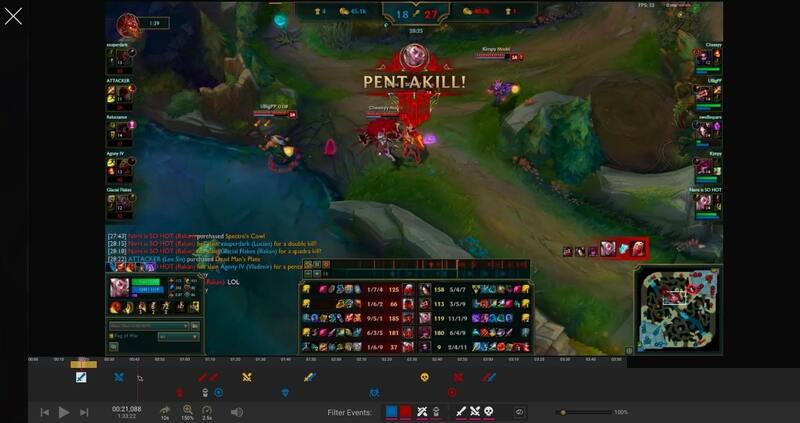 Our LoL Recording Tool is officially out of Beta! Go try it out! Last but not least, we’ve improved Rift’s performance, making it way faster than before. We keep working to make RiftGG the ONLY app you’ll ever need to become the player you’ve always wanted to be. There are more things coming your way. Stay tuned and PLEASE, PLEASE, let us know what you think.